Let’s start with some eye-opening statistics: Ninety percent of hiring managers say that being thanked for a job interview positively affected a job candidate’s chances. Twenty-two percent of hiring managers admit they’d be less likely to hire a candidate who didn’t send a thank you note. And only thirteen percent of these hiring managers reported receiving a thank you note. What do these numbers tell us? If you’re a candidate in today’s job market, you better start sending some thank you notes! 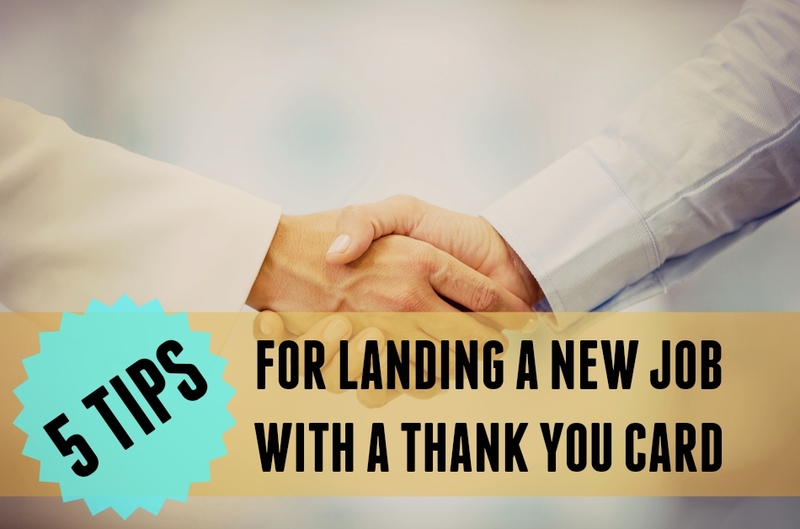 When interviewing in person, it’s considered the norm for candidates to send at least a thank-you email the same day, post-interview. But those who follow up with a snail-mail note the next day become the real standouts! It’s clear that prospective employers appreciate receiving thank-you notes after a job interview. More importantly, they seem to notice when you don’t send one. Writing a thoughtful thank you is a key way to differentiate yourself from your competitors. Sound human. Look beyond stuffy language to express yourself. Talk about why you’re appreciative and what the hiring manager’s actions mean for you, without being dramatic or long-winded. Provide clarity. If you felt you gave a weak answer to an interview question, use the thank-you note to revisit the issue. Ever thought to yourself, ‘I should’ve said X, Y and Z!”? Now’s your chance. Provide follow-up information. Interviews often end with a “we’ll be in touch.” Provide additional information, or inquire about information you didn’t receive. This shows you were paying attention and that you’ve got initiative. It is important that you remain in close contact with well-connected hiring managers, and an appropriate "thank you" is well worth the small effort it takes. Find the perfect thank-you card now.